Please scroll down this page to see my work and click on the small pictures to enlarge. 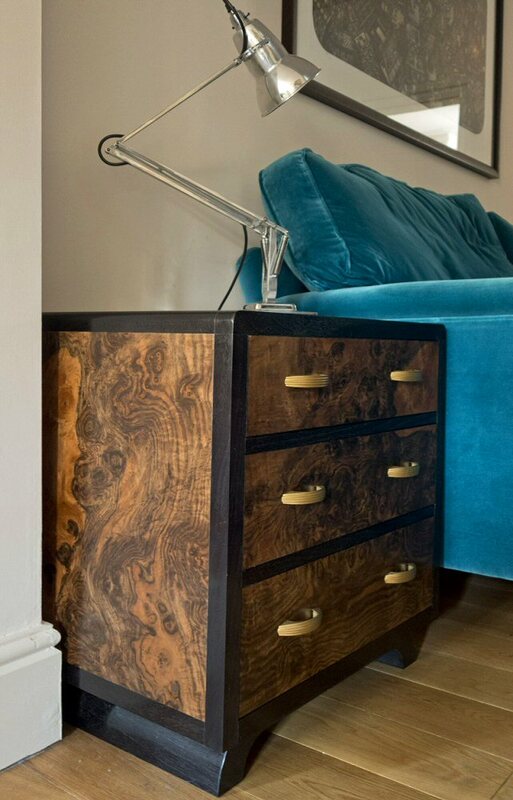 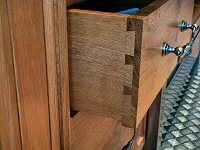 Commissioned by a client, with many original art deco pieces of furniture in his home, this chest of drawers was designed to fit in with the originals. 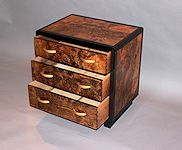 Made from quartered pippy yew, and fumed oak, with ripple sycamore drawers. 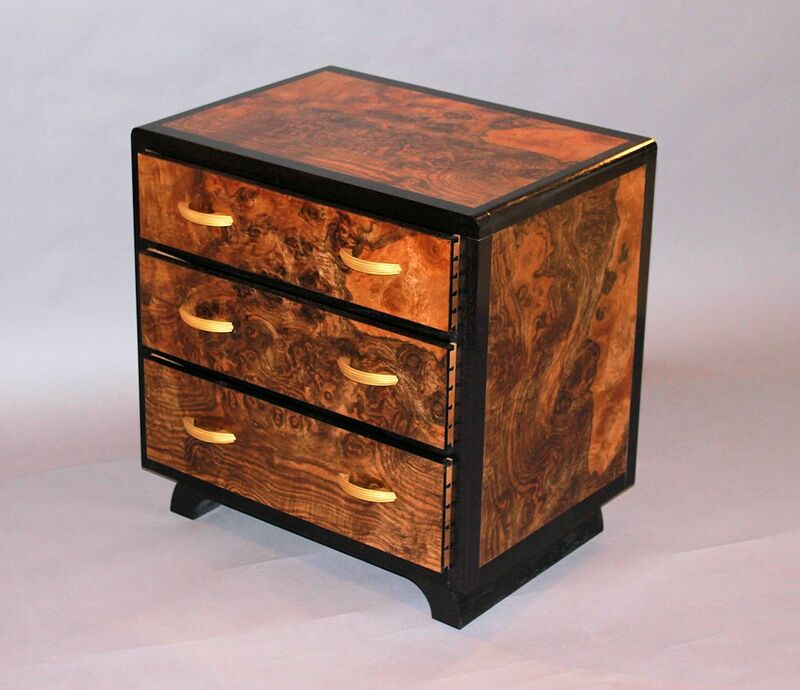 This dramatic chest of drawers was commissioned by a couple who originally saw the bow-fronted chest drawers (above) on the internet. 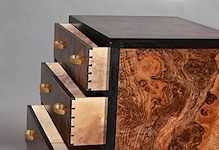 They made contact with me to discuss their requirements then joined me at the Capital Crispin veneer warehouse where they chose their own veneer. 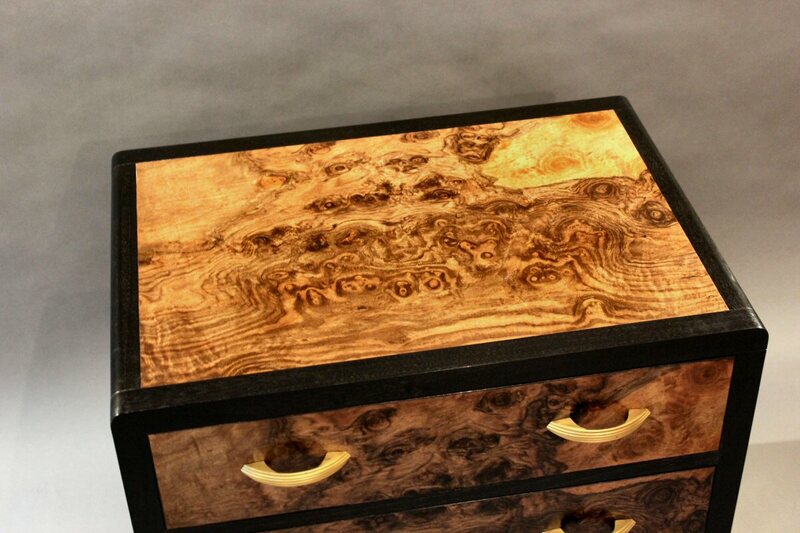 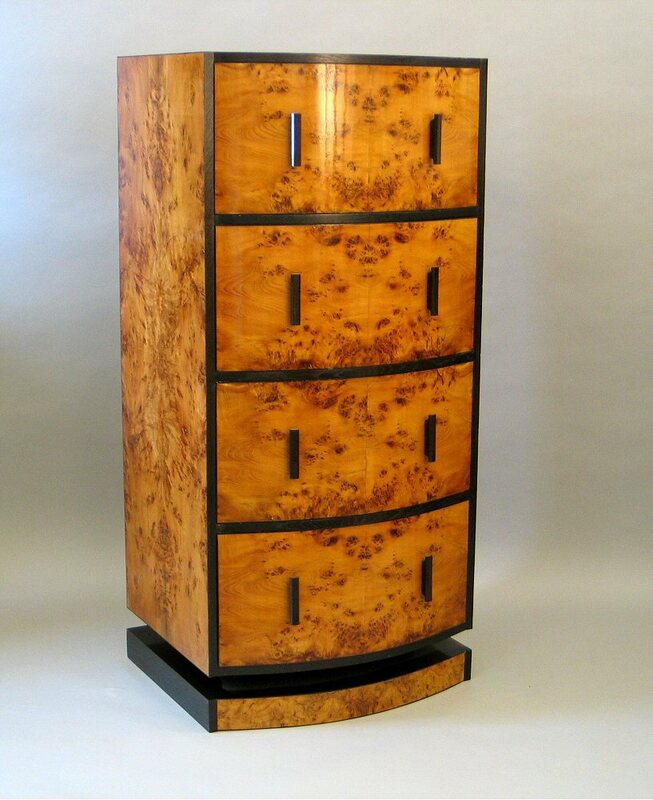 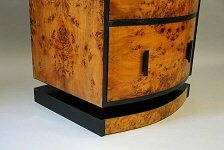 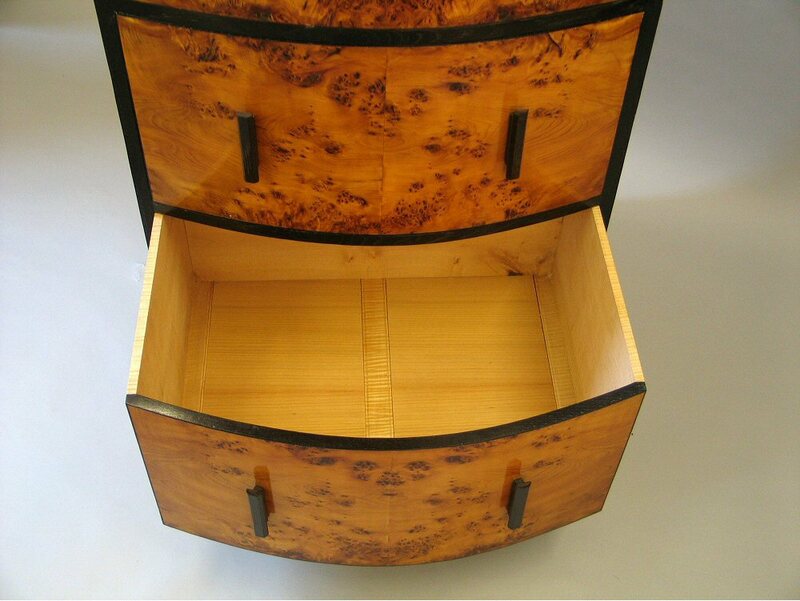 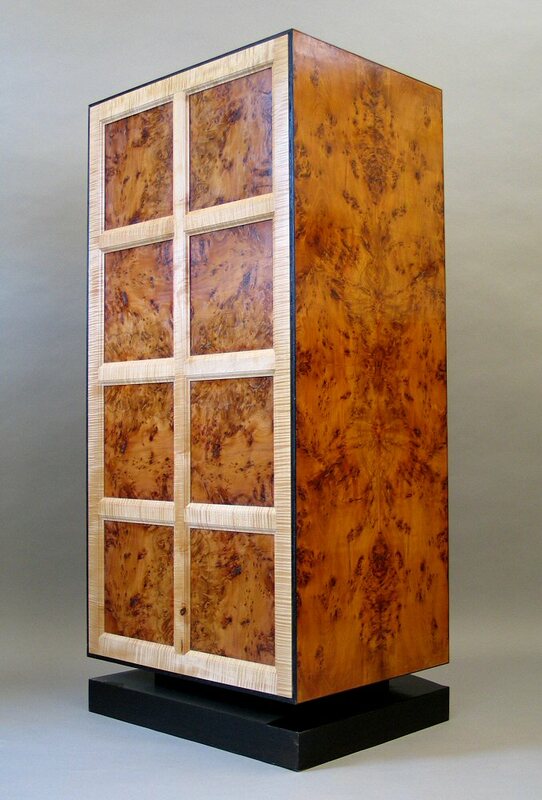 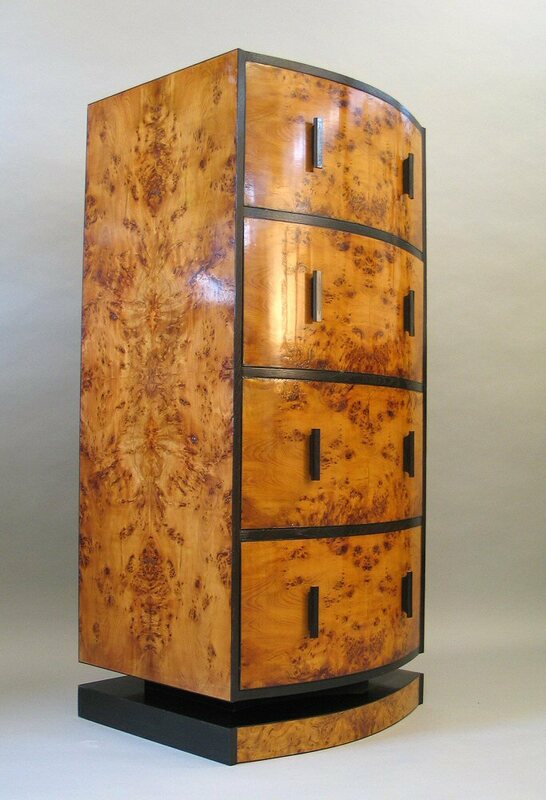 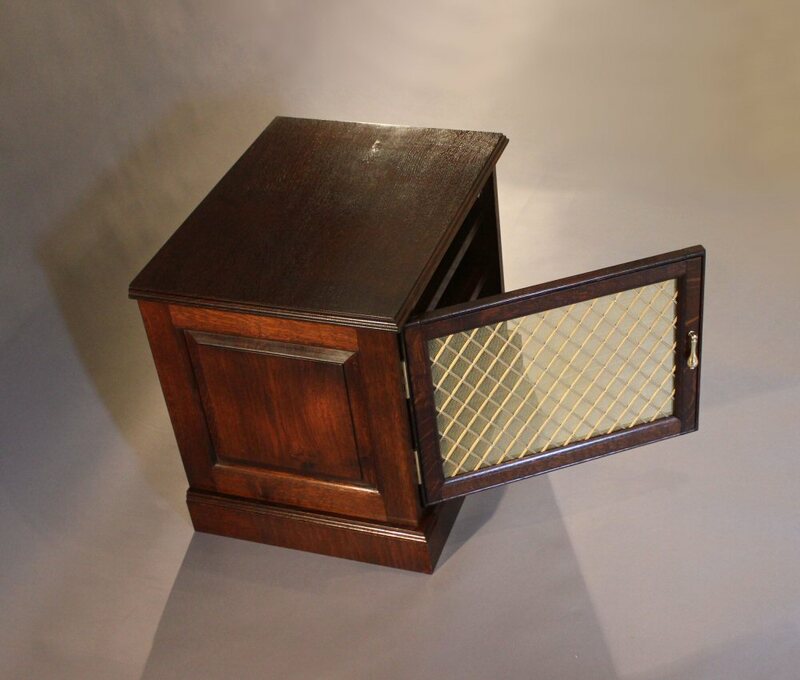 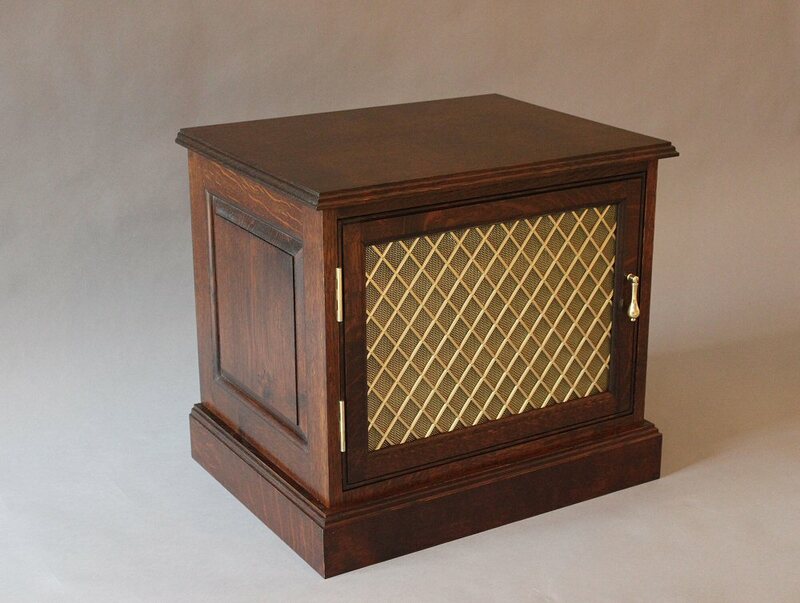 The chest is made from European walnut burr veneer and ebonised American black walnut. 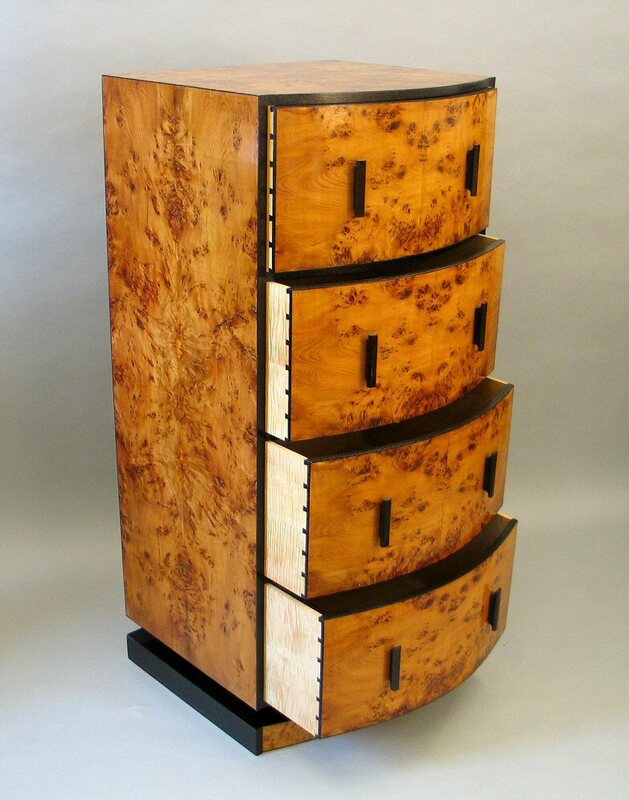 They have now commissioned a second chest of drawers which I hope to begin making in April 2015. Pictures to follow. 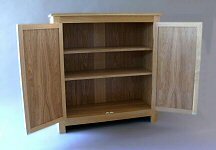 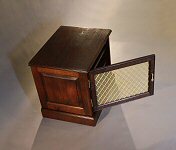 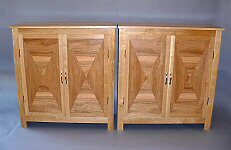 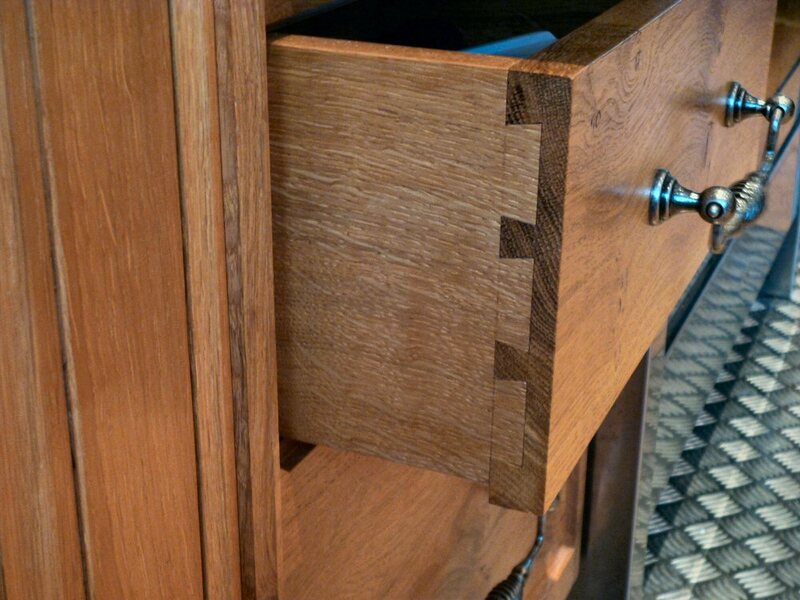 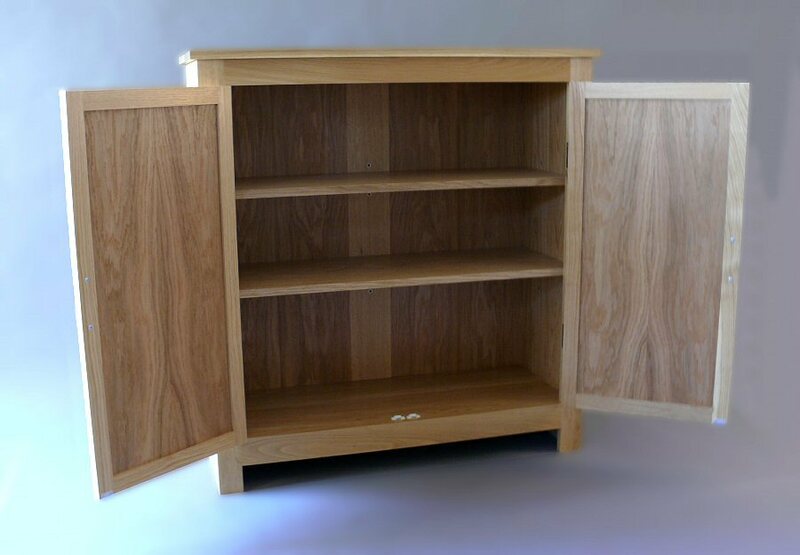 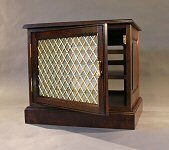 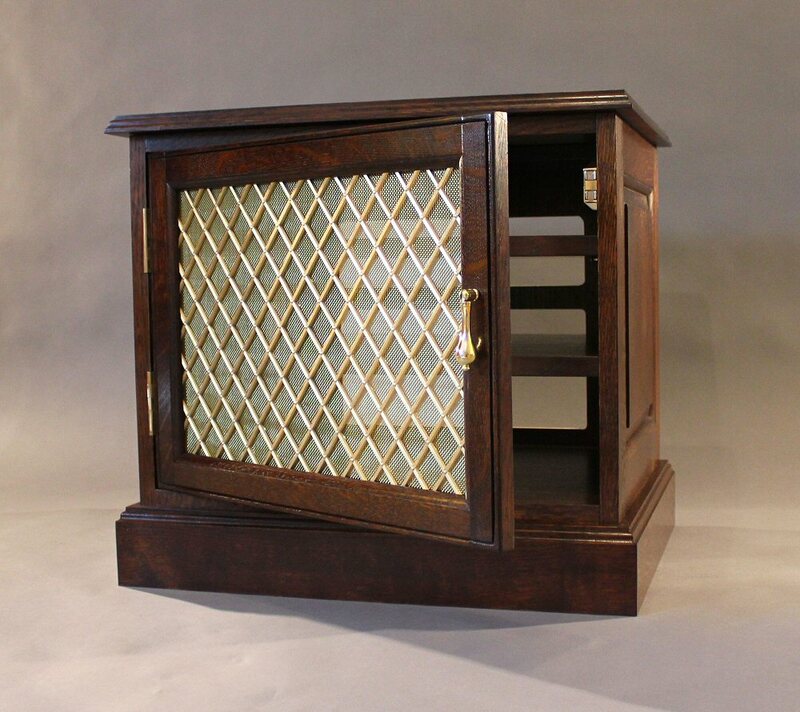 A small oak TV cabinet designed to hide the Sky Box, DVD player, etc. 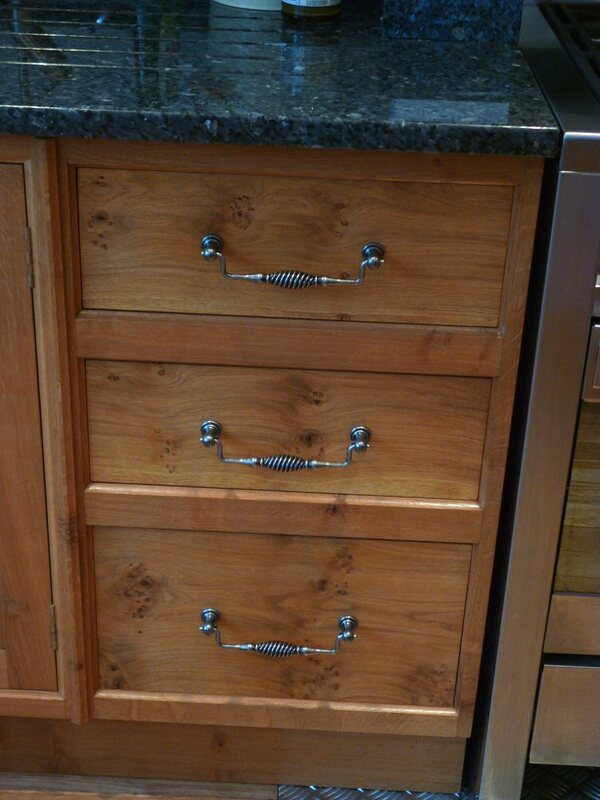 The brass grille in the door allows the infrared remote control signal through, so that each machine can be operated without the need to open the door. 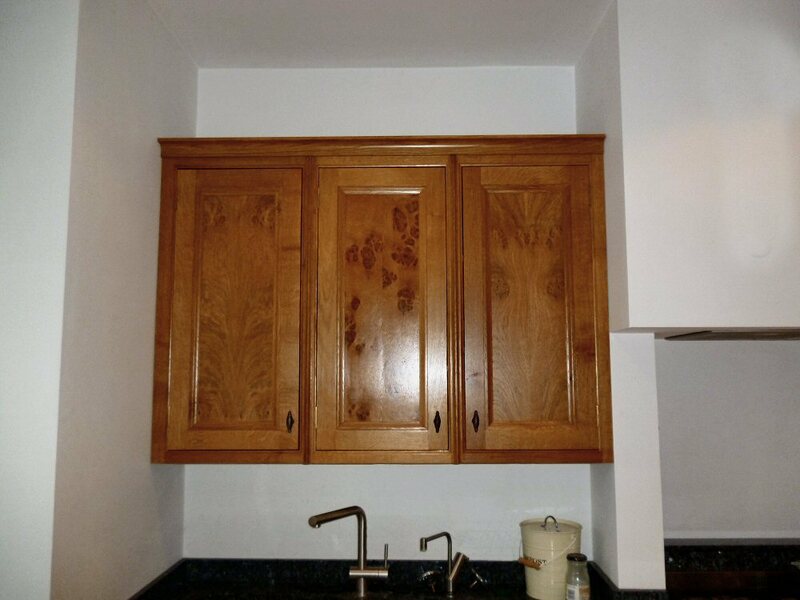 This cabinet has been stained to match my client's antique furniture. 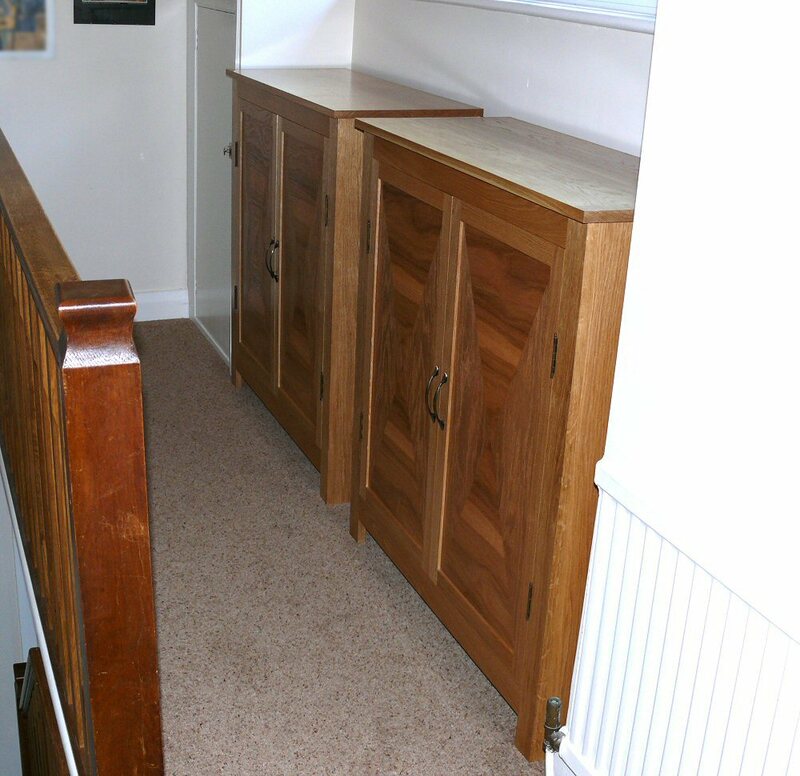 Two matching cupboards made to go in a shallow alcove at the top of my clients' stairs. 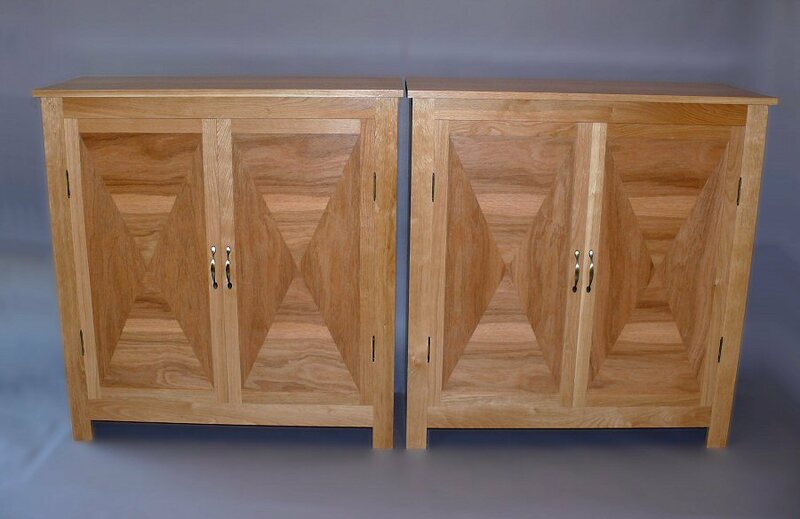 An interesting effect is given by the way I laid the veneer on the panel doors. 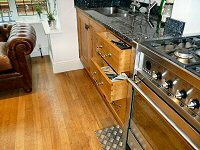 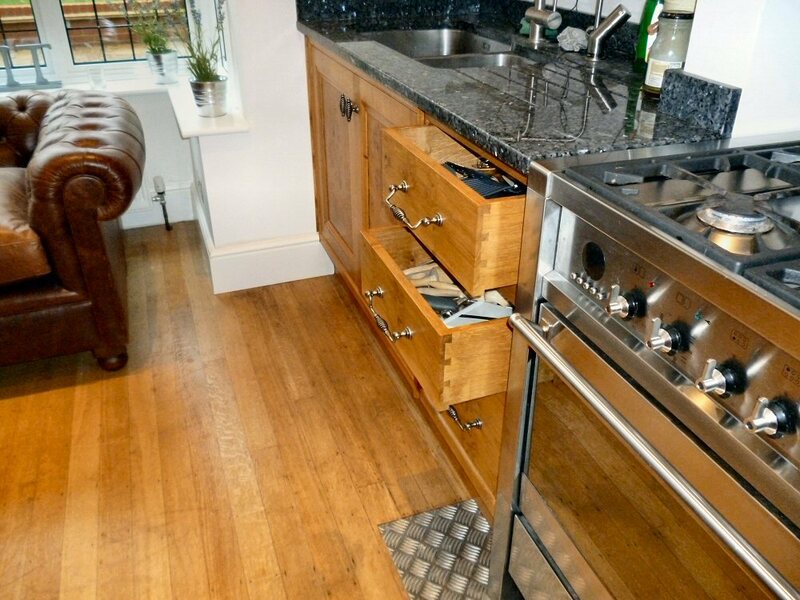 Designed to blend in with existing furniture and to fill gaps in the kitchen area. 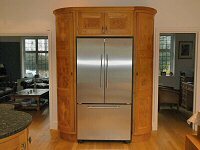 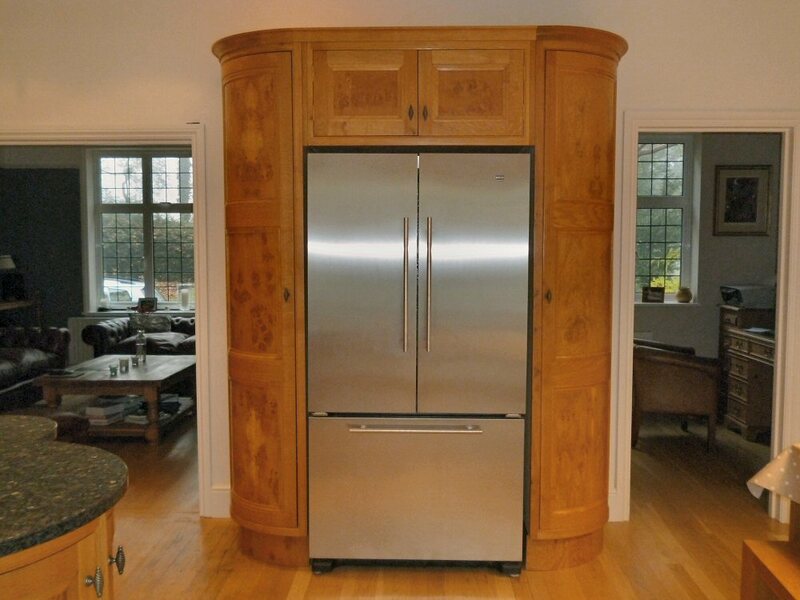 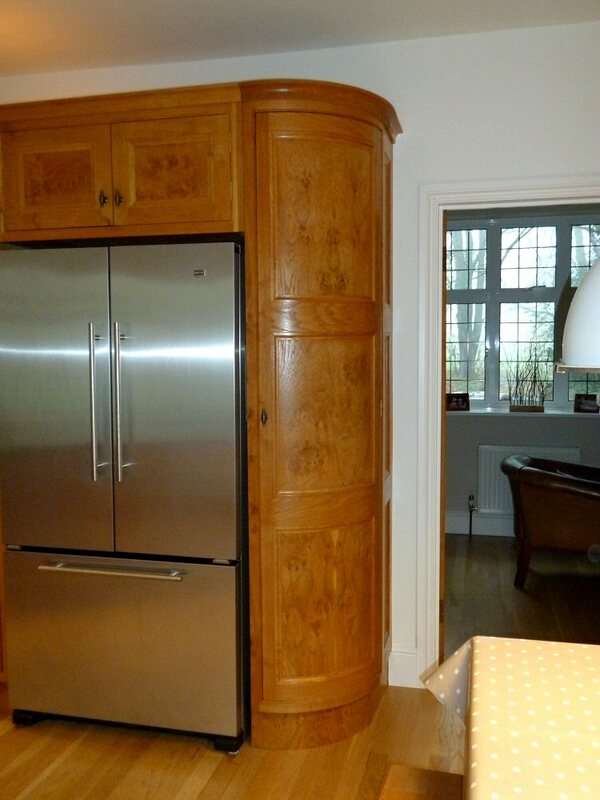 Specialist skills were required to exactly match the existing cabinets and involved making curved wooden doors.